A cast iron skillet is perhaps the most versatile pan in the kitchen. It can be used on any type of cooktop (gas, electric, induction, even a barbecue or campfire); you can bake in it, grill in it, even serve in it. You don’t even need a fancy one, just a good ole cast iron pan will do the trick, and once it’s properly seasoned it will last for generations. 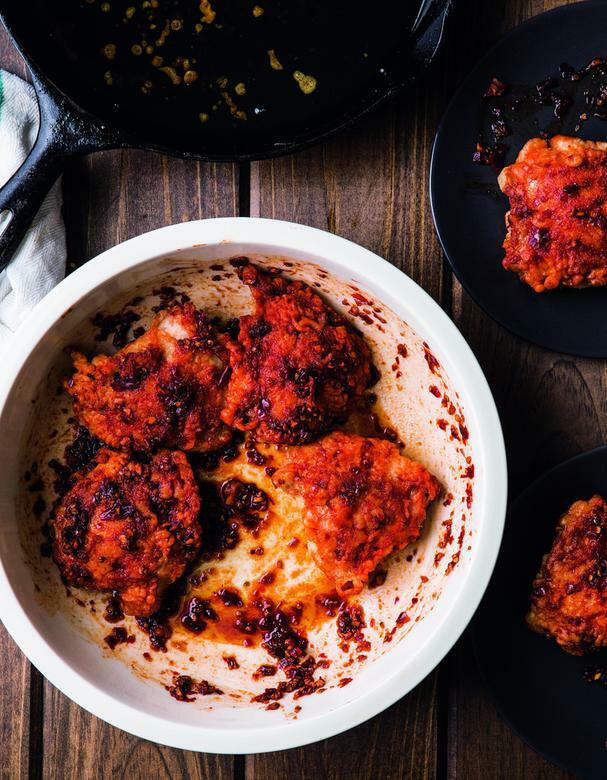 In the Cast-Iron Cooking cookbook, author Rachael Narins shares her delicious and easy recipes for every meal of the day, along with tips and tricks to help you get the most out of your cast-iron cookware. I’m simply hooked on this cookbook! 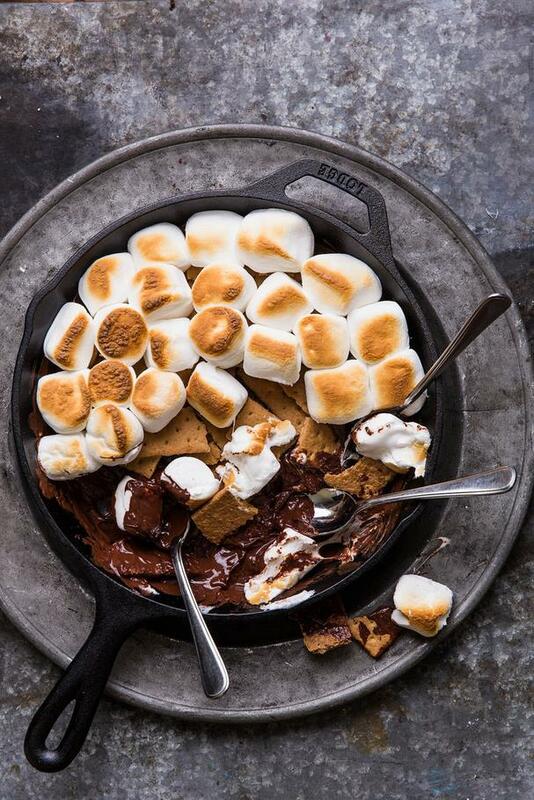 Try the Korean Fried Chicken with Garlic and Ginger, and for dessert spoil the family with a skillet of easy Oven-style S’mores (see images below). Tonight we’re making Narins’s twist on spanakopita, the classic Greek dish of flaky phyllo dough layered with spinach and feta cheese. In her version, she adds pine nuts and sun-dried tomatoes. Excerpted from Cast-Iron Cooking © 2016 by Rachael Narins. Photography by © Keller + Keller Photography. Used with permission by Storey Publishing. Squeeze out any excess moisture from the spinach. In a large bowl, combine the eggs, pine nuts, sun-dried tomatoes, feta, Parmigiano-Reggiano, dill, and nutmeg. Stir to combine. Stir in the spinach and season generously with pepper. Using a pastry brush and working quickly, lightly oil one side of a phyllo sheet and lay it, oiled side down, in a 10-inch skillet so it comes up the sides. Repeat with three more sheets of phyllo, making sure to lay them in different directions and leaving quite a bit of overhang. Spread the filling on the phyllo. Top with three more sheets of phyllo that have been trimmed to fit the skillet. Fold the overhanging phyllo on top, and brush with additional oil. Using a sharp knife, score the phyllo into six wedges. 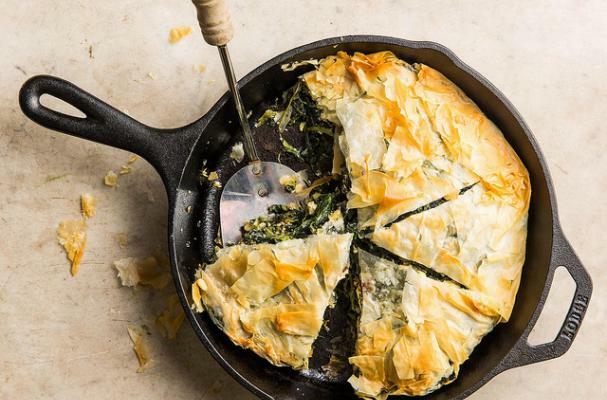 Bake the spanakopita for 35 to 45 minutes, or until the top crust is golden brown. Let cool until just warm. Cut along the score marks to serve.